The new, free software from the identity and access management vendor gives Mac and Linux users single sign-on to Microsoft Active Directory services. Centrify is a founding member of the Enterprise Desktop Alliance, formed to promote interoperability between Macs and Windows. The company already offers the Centrify Suite of Active Directory-based access and identity management software. But for organizations with “just a few non-critical Linux systems or Macs” (in Centrify’s words), Centrify Express offers a simple route to single sign-on and password policy enforcement. The Express product provides a subset of the features of the entire suite. In includes DirectControl Express, which provides the single sign-on capability and also lets OS X and Windows servers be part of an Active Directory domain; DirectManage Express, which discovers and validates non-Windows systems on a network; a group of Centrify-enabled open source tools and utilities; and Centrify Express Community, for supporting best practices through forums, how-to videos, and so on. “Cross-platform identity and access management solutions have traditionally been too costly and complex for smaller to medium sized businesses, but they often have some of the same security and compliance requirements such as PCI as larger organizations,” said Frank Cabri, vice president of marketing at Centrify. “Centrify’s approach of leveraging Active Directory combined with our free Express offering will now allow those organizations to easily improve security and compliance for their systems and layer on additional capabilities as their business evolves.” The free software can be downloaded here. Alpine is a free software e-mail client developed at the University of Washington. Alpine 1.0 was publicly released on December 20, 2007. Alpine is a rewrite of the Pine Message System that adds support for Unicode and other features. Alpine is meant to be suitable for both inexperienced email users and the most demanding of power users. Alpine is developed at the University of Washington, as was Pine before it. Alpine can be learned by exploration and the use of context-sensitive help. The user interface can be customized. Alpine shares a lot of common feature of console applications, like a rich set of shortcut keys, using keyboard instead of mouse to do all navigation and operation. In fact all operations in Alpine have corresponding shortcut keys. Unlike other console applications targeting developers and experienced users, which often require users to edit a configuration file, Alpine allows the user to change most configuration options within the software. This makes alpine one of the most easy to learn console-based email clients. Alpine supports IMAP, POP, SMTP and LDAP protocol natively. Although it does not support composing HTML email, it can display emails that only have HTML content as text. After the installation, you can access alpine by typing “alpine” (without double code) inside your terminal. 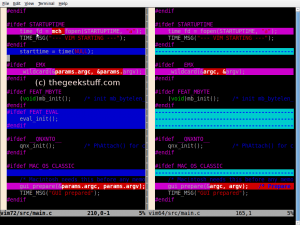 vimdiff utility gives a better visual feeling of differences between files as explained in this article. If line X is available in one file and not available in another file, then file containing the line will be highlighted with blue color, and the file without that line will be displayed with hypens and in light green color as shown below. If only a part of the line is different between the two files, the line will be highlighted in rose color, and the partial difference will be highlighted with red color as shown below. 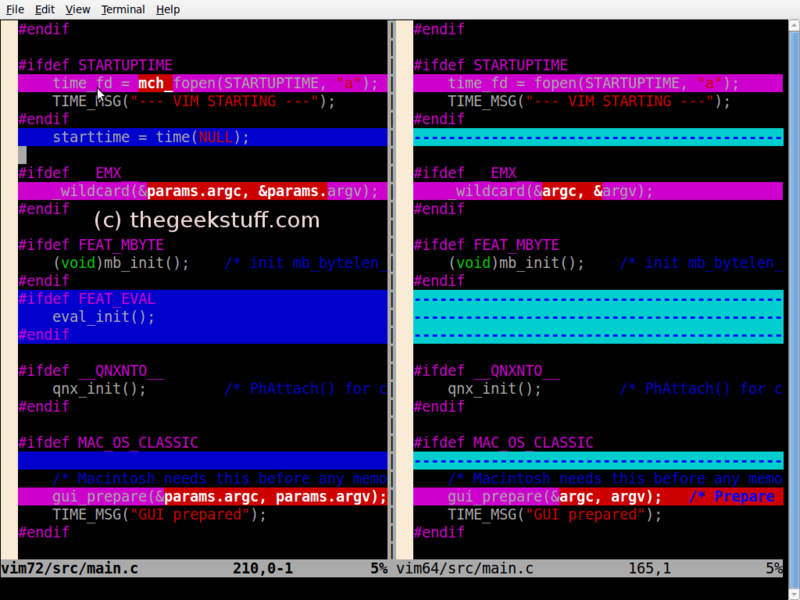 If some lines of the two files are same, it will appear as it is ( i.e without any highlight ). If many lines of the two files are same, it will be folded automatically, and shown as +N lines as shown below. To expand the fold press SPACE. man is the system’s manual pager. Each page argument given to man is normally the name of a program, utility or function. The manual page associated with each of these arguments is then found and displayed and these man pages are stored in some special format. Now you can view yast.pdf in your favorite PDF viewer. It would be great if all PDF files could be easily manipulated without relying on bloated, proprietary, update-obsessive applications (I’m looking at you, Adobe). But the fact that that’s not the case doesn’t mean Ubuntu users are out of luck when it comes to editing PDFs. Here’s a look at some of the PDF editors available for Linux, and how well they work. Short backstory: I recently found myself wanting to fill in some text fields in a PDF file that wasn’t designed to be editable. Although Evince, Ubuntu’s built-in PDF reader, was able to open the file without a problem, it didn’t offer any functionality for adding or modifying text. Neither did Acrobat Reader, which I also unfortunately have to have installed on my computer. Not despairing, I fired up the Software Center to see what other applications were out there that might be able to do what I needed without making me resort to the command line. Here’s an overview of what I found. The first program I tried was the aptly named PDFedit. It’s a Qt-based application, meaning that it required me to download a bunch of extra libraries, but it offers a wide range of functionality for modifying and adding both texts and graphics to a PDF file. For my needs, which were limited to inserting text, it was adequate, although not ideal. The add-text feature works well and supports a variety of different fonts, sizes and colors, but I found it difficult to specify exactly where I wanted to add the text. The application also seemed buggy in that it froze for a few seconds every time I finished adding a new line of text. And there was no undo feature, which would be nice to have. For these reasons, it would be difficult to use PDFedit for inserting extensive lines of text to a document. For other purposes, though, it’s a solid and relatively feature-rich application for modifying PDFs. I found flpsed, a more obscure PDF editor, to be the application best suited to my particular needs. Adding text is its only main feature, but it does it pretty well. The arrow keys can be used to specify where exactly text should be entered, which was hugely helpful in keeping everything aligned. flpsed’s shortcomings include a lack of undo functionality, no way to specify the font of inserted text (only size and color can be changed) and no support for editing existing text in the imported file in any way. Overall, the application is also very rough around the edges, with an interface reminiscent of 1999. But for me, it got the job done with little hassle. The drawbacks to this strategy, however, are that edited files can’t be exported back to PDF–they can be saved only as images–and documents have to be imported page-by-page. For my purposes, GIMP was far from ideal, but in other circumstances its ability to import PDF files can be very handy. The last application I tested was Xournal, which is designed primarily for notetaking on tablet computers and which supports annotating PDFs. When it came to filling in text fields using the keyboard, Xournal was similar to PDFedit: I could easily select a font, size and color, but it was difficult to specify the exact position of the letters. For light textual editing, Xournal would be useful, but it’s much better suited for annotating PDFs by hand with a stylus. In the end, I stuck with flpsed, which ended up working pretty well for my limited needs. The most promising application that I encountered, however, was OpenOffice, which seems very capable of a variety of PDF-editing tasks as long as it’s able to import the file cleanly. In the future, I’d love to see edit functionality incorporated into Evince so that Ubuntu would be able to modify PDF files out-of-the-box. But I’ll be happy enough just to get the visa application that launched this blog post approved. RDist is an open source program to maintain identical copies of files over multiple hosts. It preserves the owner, group, mode, and mtime of files if possible and can update programs that are executing. Almost all versions of UNIX include RDist. However, most that do include a very old version sometimes referred to as “4.2BSD rdist”, “rdist classic”, or “rdist version 3”. 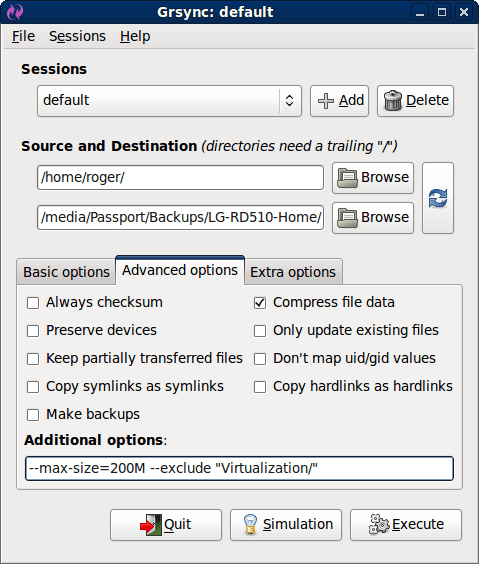 One of the transports that can be used with RDist is SSH. When used with SSH (see the rdist(1) man page) RDist can perform secure and encrypted updates. If your SSH is compiled with SOCKS support, RDist can perform secure and encrypted updates through SOCKS compliant firewall systems. View the INSTALL.html file which came with your distribution for instructions on how to build and install RDist. You can capture video of all of the amazing things happening on your desktop with one of Linux’s many screencasting applications. These programs are perfect for creating demonstrations for blogs and tutorials, and for illustrating projects with more than just still images. Many different programs are available, and they all provide a different set of features, options, and output formats. When choosing, consider the degree of control you want to have over your video resolution and whether the video is intended to work on non-Linux operating systems. 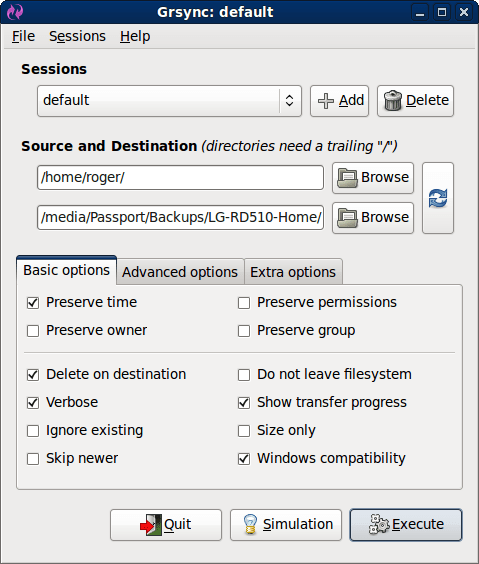 Common open source output formats, such as FLAC and Ogg Theora, work natively on Linux but require software and plugins on proprietary operating systems. User interfaces also vary greatly; some applications are nothing more than an icon in the system tray while others depend on large interfaces with many options. I tested three popular screencasting applications to see which is best for everyday use. I evaluated the user interface, the quality and variety of output formats, and the ease of installation and obtaining the required dependencies. I tested the programs on a MacBook Intel Core 2 Duo with 4GB of RAM, dual-booting into Ubuntu 8.04 Hardy Heron. Istanbul is a simple desktop recorder that lives in your system tray. Clicking on the icon starts the recording session, and clicking it again ends it. The video is encoded in the Ogg Theora format. You can capture the full screen, a selected window, or a portion of the desktop, with or without sound. This application doesn’t have a complicated user interface, making it easy to use, but there are some drawbacks. Although you do have some control over the resolution size, you cannot change the output format of the video file. This isn’t much of a problem if you’re going to upload the video to a Flash-based video site, but the Ogg Theora format doesn’t work out of the box of the main proprietary operating systems without an application like the VLC media player. Therefore, you’ll have to convert to a different format if your intended audience requires it. Istanbul is easy to install, and it is included in most distribution repositories. In Ubuntu, I was able to install it with the Synaptic Package Manager. It requires PyGTK and GStreamer, which are common dependencies. Wink is geared toward making video tutorials; it compiles a series of screenshots to a Flash format, and allows you to edit the video directly and add text boxes, navigation buttons, and still images. It includes many advanced features, such as the ability to create preloaders (elements that load portions of the video before it starts playing) and control bars for the Flash playback. The interface is not as minimal as Istanbul’s, but it is still relatively straightforward. The main drawback of Wink is the video output formats: Flash and Windows .exe programs are good for viewing the video when the file is local or when it is hosted on a personal Web site, but you can’t upload Flash and .exe files to most social networking and video sharing sites. Wink is good for corporate entities who want to share a tutorial with staff, but it is less useful for home users who want to show off their desktop on YouTube. Most distributions include Wink in their repositories, and you can install it with any package management application. Unfortunately, though, Wink doesn’t work with Ubuntu 8.04 as of the writing of this article without some hacking. I tested it for this review with a previous version of Ubuntu. With XVidCap, you can capture desktop video and take single-frame screenshots. You can record portions of the screen by dragging a red selection rectangle over the area you wish to capture. The program can handle a wide variety of output formats, including MPEG, AVI, Flash, and QuickTime. The interface consists of a small toolbar with more options tucked away inside a Preferences panel. XVidCap uses the FFmpeg libraries to capture video or a series of images, and it can also embed audio. Some people claim that XVidCap can dramatically slow down your computer if you try to record a large area. I didn’t have that problem on my machine, but I had 4GB of RAM. Installation of XVidCap is easy because it comes in the repositories for most distributions. It requires common dependencies, such as libavcodec (the FFmpeg codec libraries for video), and Cairo, Glade Interface Designer, and GTK+ to render the graphical interface. XVidCap is the most versatile of these three tools for recording your desktop and creating screencasts. Istanbul is a close second, but its lack of support for a variety of different output types is a drawback. Wink is nice, but it’s limited in use to only a few tasks, and it’s not for users who merely want to record their desktops. XVidCap can handle many popular video formats, allowing it to play nice with both Windows and Mac OS X. The red selection box is kind of clunky, and there is no easy way to record only a specific window without it, but XVidCap gets the job done in an efficient manner. 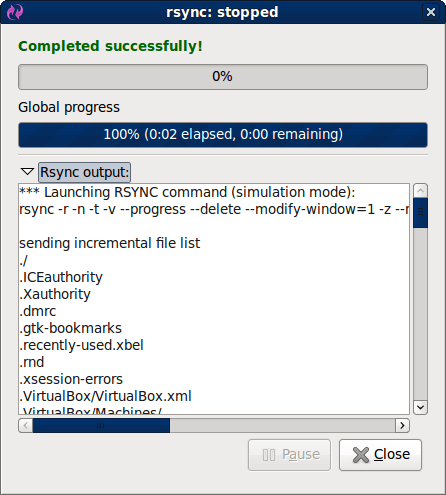 Grsync is a rsync GUI (Graphical User Interface). Rsync is the well-known and powerful command line directory and file synchronization tool. Grsync makes use of the GTK libraries and is released under the GPL license, so it is opensource. It doesn’t need the gnome libraries to run, but can of course run under gnome pretty fine. It can be effectively used to synchronize local directories and it supports remote targets as well (even though it doesn’t support browsing the remote folder). Sample uses of grsync include: synchronize a music collection with removable devices, backup personal files to a networked drive, replication of a partition to another one, mirroring of files, etc. Only sources are directly available in this home page; they can be compiled on various flavors of unix, like linux and freebsd, having gtk and autotools, but it has been compiled under windows as well and there is a Macintosh OS X port available. Some ready-made packages for linux distributions have been made by third parties, so if you want to run grsync, check your standard package tool first; if you want to compile it yourself or want to see other sources of precompiled packages, see below under the download section. You need the rsync command line tool installed in your system in order to make something useful with this rsync frontend, but don’t worry because most distributions come with it preinstalled. This is a serie of lessons of “Basic Commands “ that focuses on command-line usage, in this serie you will learn the tools and tricks of the command line, which are in many cases faster, more powerful, and more flexible than GUIprogram. Today in this part i will show you the main commands to compress/decompress files using rar, bzip, tarball(tar) and gunzip. GNU tar is an archiver that creates and handles file archives in various formats using the ‘tar’ command ,it was originally used as a backup tool to write data to magnetic tape drives .You can use tar to create file archives, to extract files from previously created archives, store additional files, or update or list files which were already stored. -‘f’ specifies the filename. After the filename, all other parameters are the files or directories to add to the archive. Tarballs are commonly compressed using gzip or bzip2 using the -z or -j command options. bzip2 is a freely available, patent free (see below), high-quality data compressor. It typically compresses files to within 10% to 15% of the best available techniques (the PPM family of statistical compressors), whilst being around twice as fast at compression and six times faster at decompression. (Read the documentation of bzip2). gzip is a software application used for file compression. gzip is short for GNU zip; the program is a free software replacement for the compress program used in early Unix systems, intended for use by the GNU Project. gzip was created by Jean-Loup Gailly and Mark Adler. Version 0.1 was first publicly released on October 31, 1992. Version 1.0 followed in February 1993. Gzip reduces the size of the named files using Lempel-Ziv coding (LZ77). Whenever possible, each file is replaced by one with the extension .gz, while keeping the same ownership modes, access and modification times.There is a good article if you want to learn more a bout gzip, see this link. zip is a compression and file packaging utility for Unix, VMS, MSDOS, OS/2, Windows NT, Minix, Atari and Macintosh, Amiga and Acorn RISC OS. 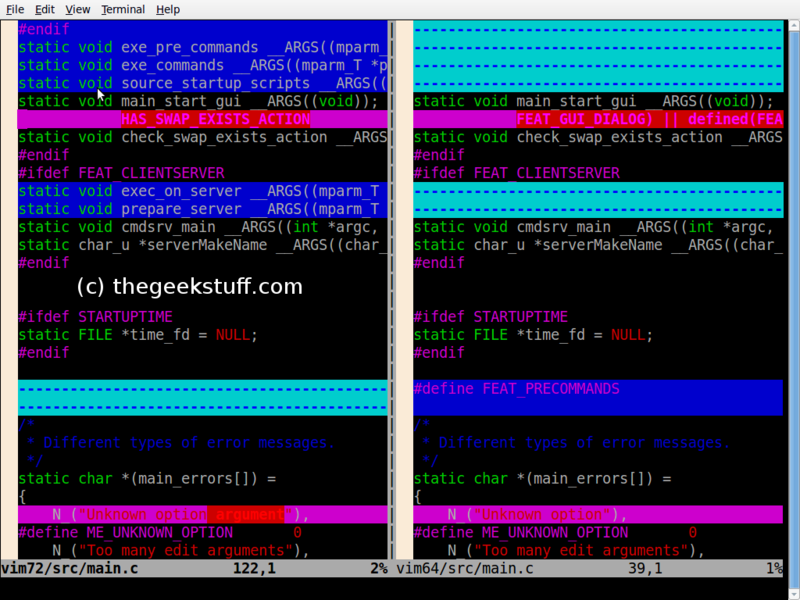 It is analogous to a combination of the UNIX commands tar and compress.